In writing about Asheville, North Carolina for a project, I was reminded of something that doesn't really fit the piece. 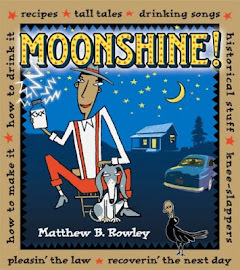 I was in and around the mountain town meeting moonshiners, sifting through historical records, and meeting the supplier who sold Popcorn Sutton gallon jugs of artificial flavorings for his "authentic" peach and apple moonshines. Taking a night off, I poked around town exploring and walked into a bar packed with women. Now, if you've never been there, you should know that, in addition to its many charms, Asheville is home to a lot of girls who like girls. Many, in fact, consider this one of its charms. I hesitated just inside the door of the bar when I realized I was one of the only men in the place, second-guessing my decision to drop in, but at that very moment, two flannel-clad college girls broke into a karaoke cover of Waylon Jennings' "Good Ol' Boys" (The Dukes of Hazzard theme song). I bellied up to the bar, ordered my first beer, and proceeded to have a fantastic night with charming, friendly locals. The Dukes of Hazzard Music Video SD from REK Studios on Vimeo. What Do You Want From the Liquor Store?